Designed for today’s business leaders, this track will drill deep on digital transformation initiatives, subscription growth strategies, and challenges around business scalability. 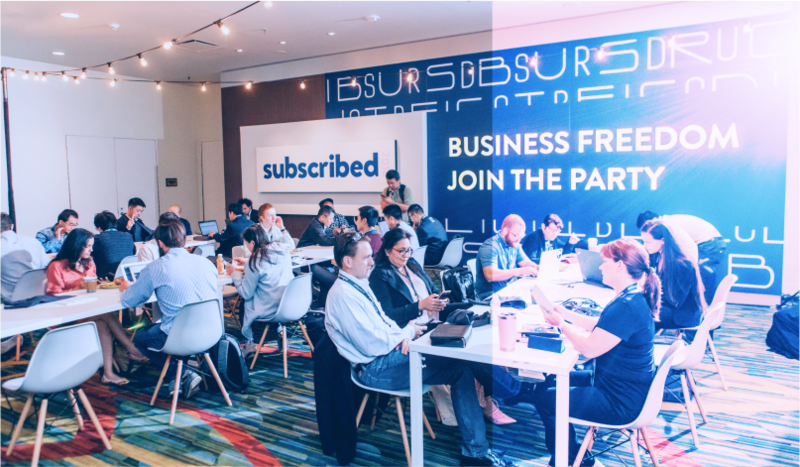 Meet other Subscription Economy leaders, share big ideas, and learn new strategies to really optimize your business for fast and efficient growth. Business transformation projects are a big undertaking that can take several years for large organizations to complete. Picking the right launch strategy is the key to success. Hear first-hand from Heather Maniscalco, Director of Enterprise Architecture at Neustar about the launch strategies adopted by the company and why. In addition, Zuora's Enterprise Architecture team will share a framework to help you develop a launch strategy to quickly realize value while minimizing risk, cost, and impact on customers and internal operations teams. This is an ideal session for CIOs getting started on the Zuora journey. Hear from business leaders who have successfully led their companies through a digital transformation and those who are currently in the midst of the process. We'll have an open and healthy conversation on why and how companies need to digitally transform, challenges to expect, and how to build a business case internally. This is a great opportunity for executives responsible for transformation strategy to learn from each other and get a real sense of what life is like on the other end of the journey. Join Dr. Gold, Zuora's Chief Data Scientist to learn how to use your data as a weapon in the fight against churn, the bane of all subscription businesses. When used correctly, data can help companies understand what causes users to churn, what's predictive of churn, and what can be done to reduce it. Dr. Gold will clear many misconceptions around data and discuss the pitfalls involved in performing data analysis and communicating the results. He'll share case studies and insights gleaned from his work on dozens of predictive churn analyses at Zuora. You'll also get a sneak-peek into material from his forthcoming book: Fighting Churn With Data! As established, 100+-year-old manufacturing companies enter the Subscription Economy, the transition from a build-and-ship business model to a subscription model presents immense opportunities and some unique challenges. Join us to hear first-hand from the people leading the change to understand what's driving the shift and how they are navigating the transformation. Pricing and packaging is one of the most important levers that subscription businesses can pull to drive growth. Super-growth companies know that taking a strategic approach to monetizing services is critical to their success. Attend this all-star session, with a panel of execs from a wide range of industries to learn more about how to go upmarket, pricing model changes, cross-sell and upsell strategies, and how to use subscriber identity to optimize pricing. This is your opportunity to engage with practical use cases in a live Zuora environment. Be the first to try out the newest features (announced at Subscribed!) and explore Zuora University learning offerings. Think of this as Zoura’s very own genius bar. A walk-up counter on the show floor staffed with Zuora experts ready and available to talk to you about any product-related issues you are facing.